Adobe Premiere Pro software lets you work faster, integrate projects with the Adobe Suite, and edit in many different native formats. Get breakthrough performance on workstations and laptops; streamline collaboration; and boost productivity with an efficient, robust, cross-platform editing workflow. 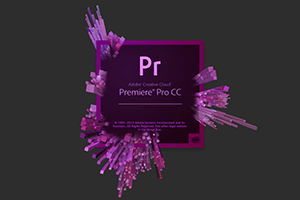 As part of the Adobe Creative Suite of products, Premiere Pro could make the ultimate toolset for video pros who don’t necessarily want or need FCP or Avid. Topics will include: The Adobe Premier user interface, KB shortcuts, multi-cam syncing, the editing toolsets, single and batch file I/O capture and management systems, keyframing, use of multiple effects, audio editing & equalization and more. Be advised that this class is introductory by nature and does NOT necessarily teach you how to edit... It teaches you how to use the software. If you have no previous editing experience this may or may not be a good choice for you. Prerequisite: Basic knowledge of the computer, editing experience recommended.